A number of Ballymena Runners travelled to Ardboe on Sunday for the fifth edition of the Great Rossa Run. In the half marathon event Harry Armstrong got round in 2:16:06 while, in the associated 10k, Peter Faith was first from the club to finish in 46:51 followed by Chris Magill (50:18), Jim Moore and Debbie Watters (both 51:57). Also running in club colours were Terry Foley (1:02:05) and Brigid Quinn (1:02:04). Hill and Dale, a series of ten mountain/trail races in the Mournes organised by Newcastle AC, is over for another year. Ballymena Runners were well represented throughout the series, claiming podium positions in a number of categories. Gillian Wasson claimed 1st spot in the F40 category and also finished fourth lady overall across the ten events. Mark Alexander finished 3rd in the M45 category while there were top ten places for Tim Lowry (6th M40) and Mairead Agnew (9th F45). 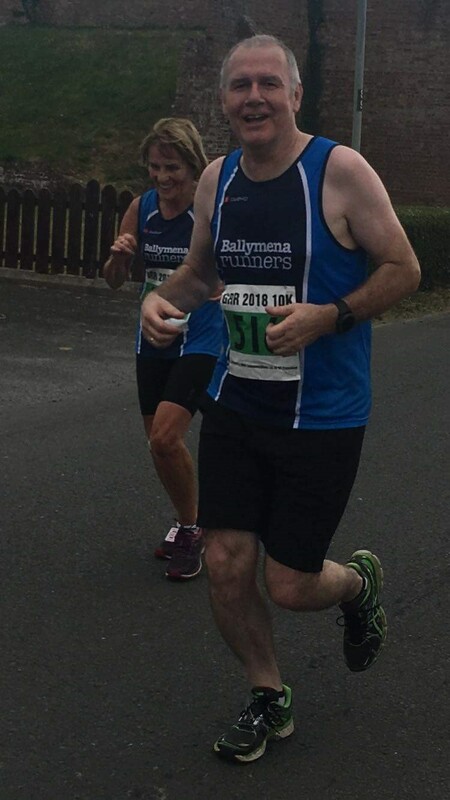 Other runners from the club who were regulars at the different races included Adrian Dodds, Alastair Donaghy, Emma Donnelly, Joseph McCloy and Joseph McDermott. Martin Harris continued his challenge to complete 18 half marathons in 2018 with a trip over to Bath to run the Two Tunnels Half Marathon, an event which marked the halfway point in his challenge. The route incudes a 1672m long portion through Combe Down Tunnel, which makes it the race with the longest underground section in the UK. Martin completed the course in 2:50:19, but reported that the heat of the day was difficult to cope with. "It was a flat course, apart from a very steep climb at the end. It was unusual running through in the dark, unused railway tunnels. "Thankfully they were air conditioned but exiting them was like running straight into a sauna in temperatures that reached as high as 29 degrees."